The Media Access Control (MAC) address is a binary number used to uniquely identify computer network adapters. 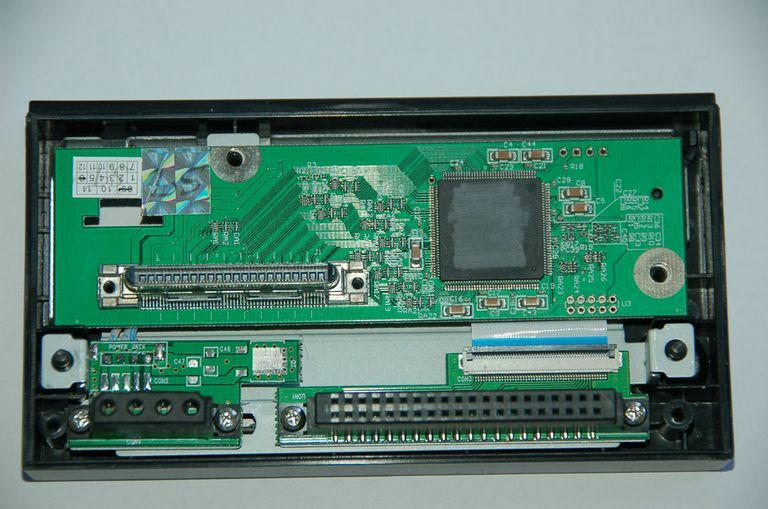 These numbers (sometimes called "hardware addresses" or "physical addresses") are embedded into the network hardware during the manufacturing process, or stored in firmware, and designed to not be modified. Some also refer to them as "Ethernet addresses" for historical reasons, but multiple types of networks all utilize MAC addressing including Ethernet, Wi-Fi, and Bluetooth. The leftmost 6 digits (24 bits) called a "prefix" is associated with the adapter manufacturer. Each vendor registers and obtains MAC prefixes as assigned by the IEEE. Vendors often possess many prefix numbers associated with their different products. For example, the prefixes 00:13:10, 00:25:9C and 68:7F:74 (plus many others) all belong to Linksys (Cisco Systems). The rightmost digits of a MAC address represent an identification number for the specific device. Among all devices manufactured with the same vendor prefix, each is given their own unique 24-bit number. Note that hardware from different vendors may happen to share the same device portion of the address. While traditional MAC addresses are all 48 bits in length, a few types of networks require 64-bit addresses instead. ZigBee wireless home automation and other similar networks based on IEEE 802.15.4, for example, require 64-bit MAC addresses be configured on their hardware devices. TCP/IP networks based on IPv6 also implement a different approach to communicating MAC addresses compared to mainstream IPv4. Instead of 64-bit hardware addresses, though, IPv6 automatically translates 48-bit MAC address to a 64-bit address by inserting a fixed (hardcoded) 16-bit value FFFE in between the vendor prefix and the device identifier. IPv6 calls these numbers "identifiers" to distinguish them from true 64-bit hardware addresses. TCP/IP networks use both MAC addresses and IP addresses but for separate purposes. A MAC address remains fixed to the device's hardware while the IP address for that same device can be changed depending on its TCP/IP network configuration. Media Access Control operates at Layer 2 of the OSI model while Internet Protocol operates at Layer 3. This allows MAC addressing to support other kinds of networks besides TCP/IP. IP networks manage the conversion between IP and MAC addresses using Address Resolution Protocol (ARP). The Dynamic Host Configuration Protocol (DHCP) relies on ARP to manage the unique assignment of IP addresses to devices. Some Internet Service Providers link each of their residential customer accounts to the MAC addresses of the home network router (or another gateway device). The address seen by the provider doesn't change until the customer replaces their gateway, such as by installing a new router. When a residential gateway is changed, the Internet provider now sees a different MAC address being reported and blocks that network from going online. A process called "cloning" solves this problem by enabling the router (gateway) to keep reporting the old MAC address to the provider even though its own hardware address is different. Administrators can configure their router (assuming it supports this feature, as many do) to use the cloning option and enter the MAC address of the old gateway into the configuration screen. When cloning isn't available, the customer must contact the service provider to register their new gateway device instead.